As a child, Neal Rubin loved nothing more than being in the family hammock, Dugout Jinx or Fiery Fullback in hand. The series featured Chip Hilton, a football/basketball/baseball star who had pals like “Biggie” Cohen and “Red,” plus a swell girl, Mitzi, who was head cashier at the drugstore. Best of all, Chip was a stand-up guy who spoke up when other kids were bullied or excluded. Today a columnist for the Detroit News and the longstanding Bookstock Honorary Chair, Rubin remains loyal to his boyhood buddy: He still owns the entire Chip Hilton series, and he gets a bit sentimental when talking about the happy times he spent with those books. 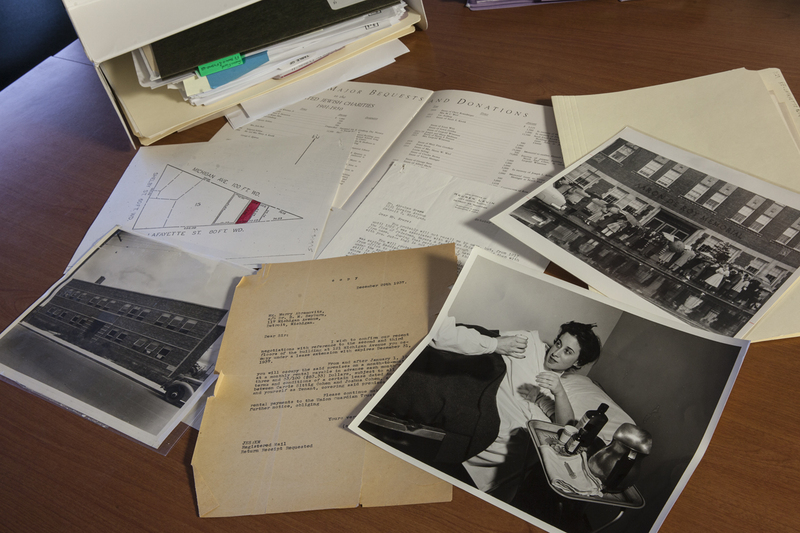 But he notes that eventually author Clair Bee could barely stomach his annual obligation to chronicle Chip’s wholesomeness, and the only way he could write was to “lock himself in his office for a week with his typewriter and a case of whisky,” Rubin says. These days Rubin opts for mysteries, biographies and history when looking for something to read, and his favorite place to find them is at Bookstock, with more than 300,000 gently used CDs, DVDs, vinyl and, yes, books. 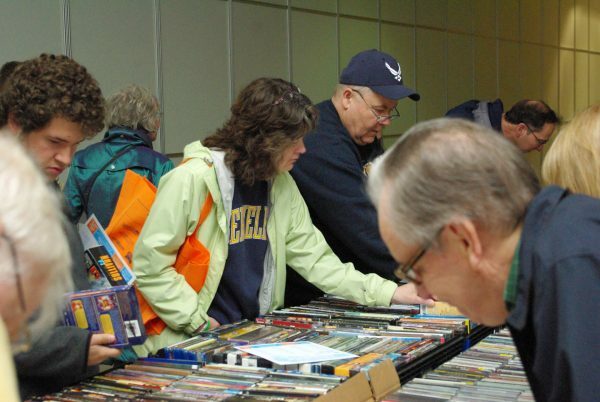 The largest used book and media sale in Michigan and now in its 17th year, Bookstock opens Sunday, April 7 and continues through April 14 at Laurel Park Place, 37700 Six Mile Road in Livonia. 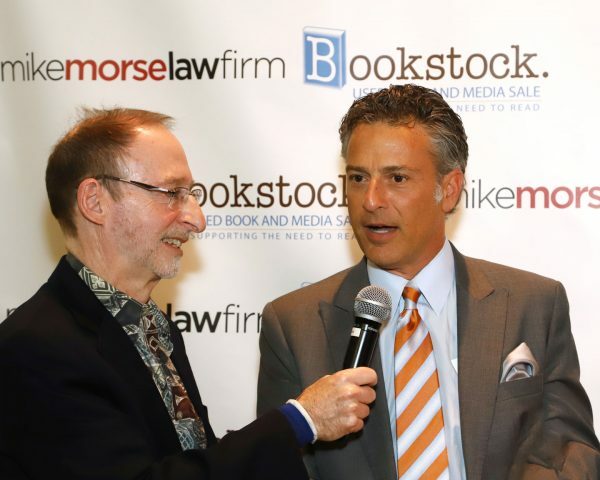 Bookstock is entering into a new partnership with JVS Human Services, which will soon become its institutional home. 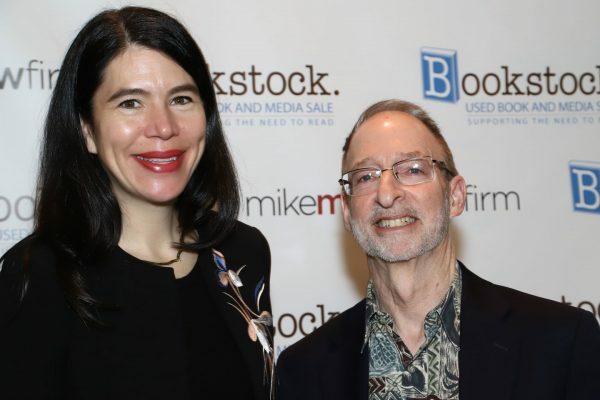 Alycia Meriweather, Deputy Superintendent of the Detroit Public Schools, is Honorary Chancellor, and the Mike Morse Law Firm is Bookstock 2019’s Presenting Sponsor. Neal Rubin has been a dedicated Bookstock supporter for many years, ever since he met the volunteers, all of whom he says were “so nice, so friendly and so committed.” He remembers when Bookstock started with a bunch of boxes in a former health club at Laurel Park Place; now it includes not just a huge sale but events (see below), a contest and Teacher Appreciation Days. For the eighth year, Bookstock will sponsor an essay contest for fourth-graders where the winning student, four runners-up and 10 honorable mentions, along with all their teachers and schools, receive a cash prize. 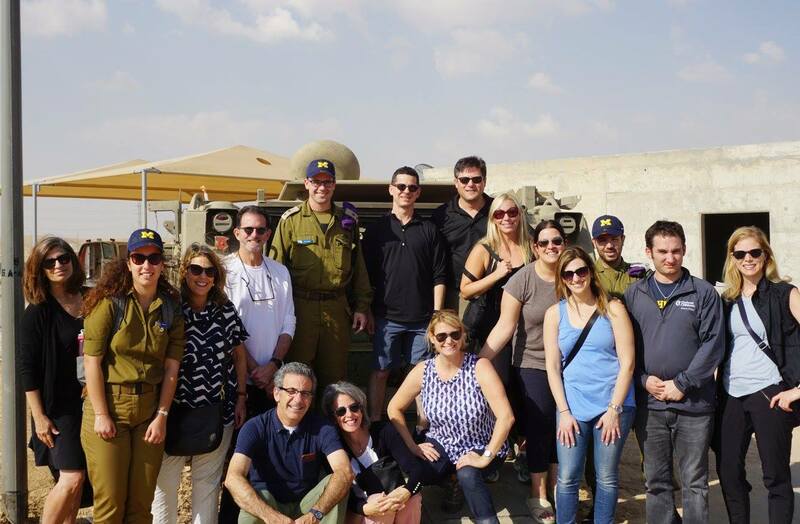 The awards ceremony, which Rubin will host, will be broadcast live on WDIV Local 4. When Rubin heads to Bookstock, he knows the crowd. There are the serious buyers who, with reselling in mind, come with barcode scanners to the presale. The cookbookers are always intense; Rubin has watched shoppers exit with dozens and dozens of French Food, Cooking Italian Now and On the Table in 25 Minutes!, their cheeks bright with joy, like happy apples popping out of a pie. He enjoys hearing amazing stories, like the volunteer who found a cake recipe, in her late mother’s handwriting, left in one of those cookbooks. Another woman bought every copy of A Day in the Life of America because it included a photo of her mother at a water aerobics class. The mother had since died, and seeing the picture was a way for her daughter to reconnect. Rubin can, no doubt, understand how she felt: This will be his first Bookstock without the small spiral notebook where he kept titles of detective books his mother-in-law had finished, allowing him to search for new, unread ones. His mother-in-law, Fran, died just weeks ago. Rubin will wander over to the Bookstock history table, where he might pick up a title about WWII. He’s always happy to find – “pounce on,” he says – a book by a friend like the late Elmore Leonard, or Love in the Driest Season by Neely Tucker, the true story of a couple who adopt a girl left to die in a field in Zimbabwe. Rubin says he was “sobbing” by the end. Or maybe he’ll pick up an early Robert B. Parker or something by Dennis Lehane. He’ll be happy to see All Quiet on the Western Front and Johnny Got His Gun, favorites from high school, though he won’t open them because he loved them so much he doesn’t want to chance losing anything in a second reading. A lot of times he’ll buy something “I didn’t even know I wanted” and then it becomes a favorite, like Brainiac: Adventures in the Curious, Competitive, Compulsive World of Trivia Buffs by “Jeopardy” champ Ken Jennings (“It’s screamingly funny,” Rubin says). This year’s co-sponsors are the Ann Arbor Jewish Community, B’nai B’rith Youth Organization, Brandeis University, Delta Kappa Gamma, Farber Hebrew Day School/Yeshivat Akiva, Frankel Jewish Academy, Hadassah-Greater Detroit Chapter, Hillel Day School PTO, Jewish Community Center of Metropolitan Detroit, Jewish Community Relations Council/AJC, Jewish Federation of Greater Ann Arbor, Jewish Federation of Metropolitan Detroit-Women’s Philanthropy, JVS Human Services, National Council of Jewish Women, Oakland Literacy Council and ORT America. Monday Madness: Monday, April 8. The first 2,000 shoppers receive giveaways and a chance to win a $100 VISA gift card every hour. Teacher Appreciation Days: Tuesday and Wednesday, April 9 and 10. 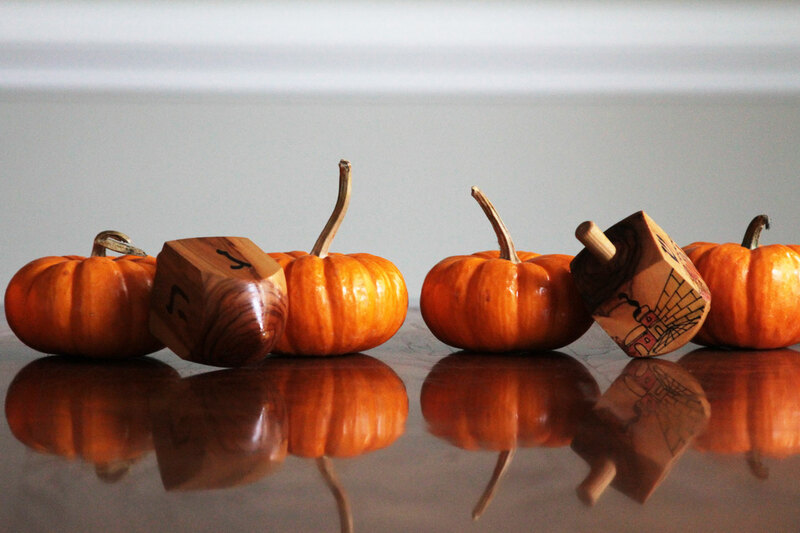 From 3-9 p.m., teachers (with a valid ID) receive 50% off. 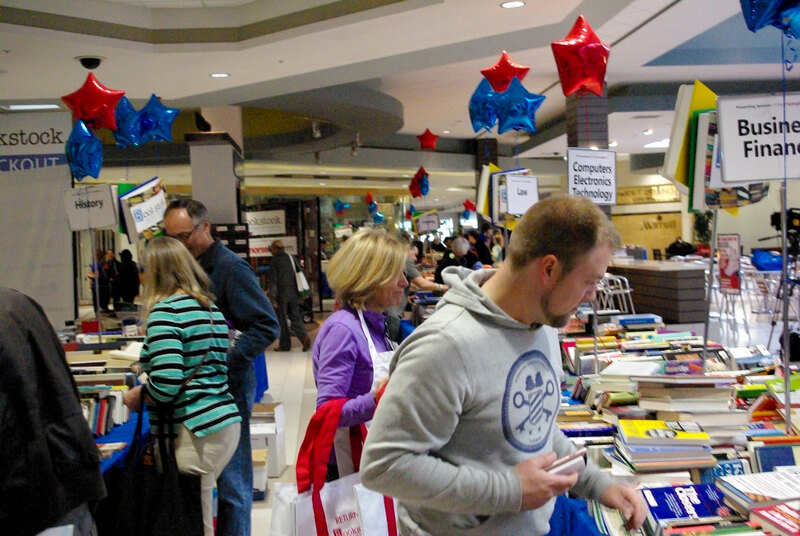 Bookbuster Days: Thursday and Friday, April 11 and 12: From 3-9 p.m., buy three books and the fourth (least expensive item) is free. Plus: Spend $25 or more on either night and be entered in a drawing for skates signed by Olympic Gold Medalist Meryl Davis; four tickets to a Detroit Tigers game; two grandstand tickets to the Chevrolet Detroit Grand Prix presented by Lear. Cookstock: Saturday, April 13. All cookbooks are half price, with cooking and dining prizes awarded throughout the day. Half-price Finale: Sunday, April 29: All books and media are half price. For information about Bookstock: (248) 645-7840, ext. 365, or visit bookstockmi.org.